Boyfriend is visiting his family on the east coast until next Wednesday. 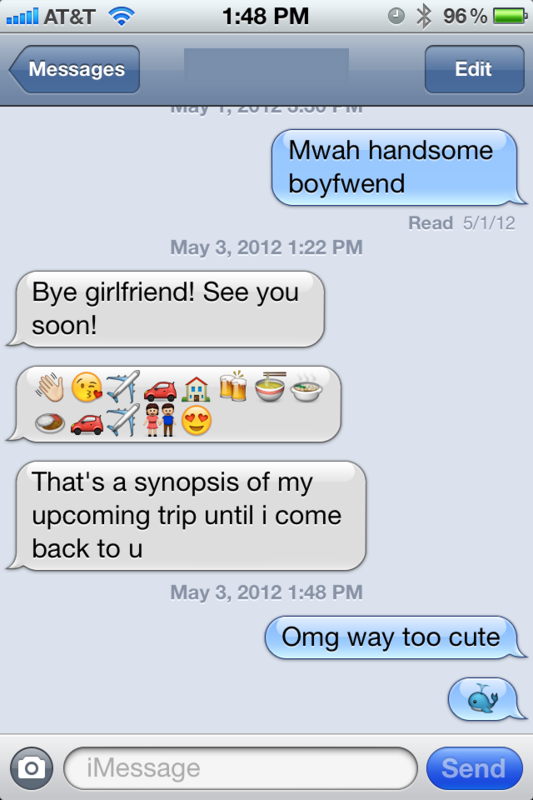 He sent me these texts when he left. So cute.